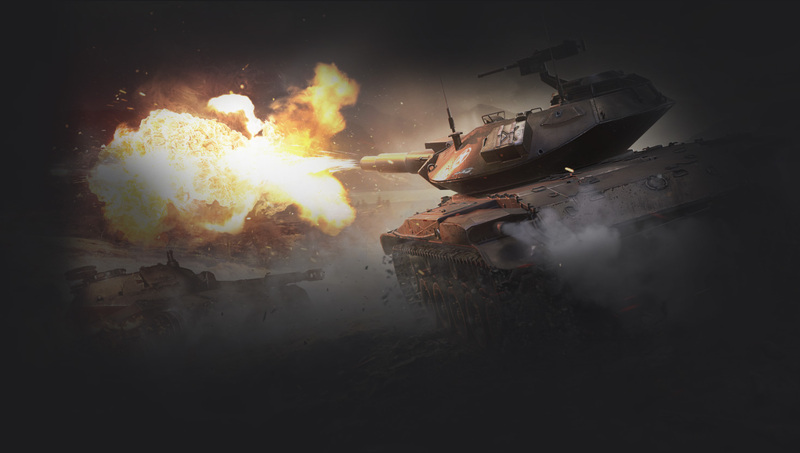 Lợi ích khi sử dụng vàng trong World of Tanks? A motionless vehicle is an easy target, so keep moving! To control your vehicle, use mouse and keyboard. To move your vehicle, use W, A, S, D.
Press either of the Cruise Control keys one time to put your vehicle in the lowest speed, two times for medium speed, and three times for maximum speed. Handbrake to bring your vehicle to a sudden stop. This can be especially useful when you need to come to a halt to fire with greater accuracy. To position your gun, use your mouse. 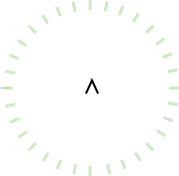 Move it left or right to adjust the gun horizontally. Move the mouse up or down to elevate or depress the gun. Left-click to fire at the target. Most vehicles have their gun mounted on the turret, which allows it to rotate 360 degrees and aim in any direction without the need to move the vehicle's hull. However, this doesn't apply to the majority of Self-Propelled Guns (SPGs) and Tank Destroyers, which are often turretless. Without a turret, their gun can move horizontally only to a certain point; after that you have to traverse the hull. 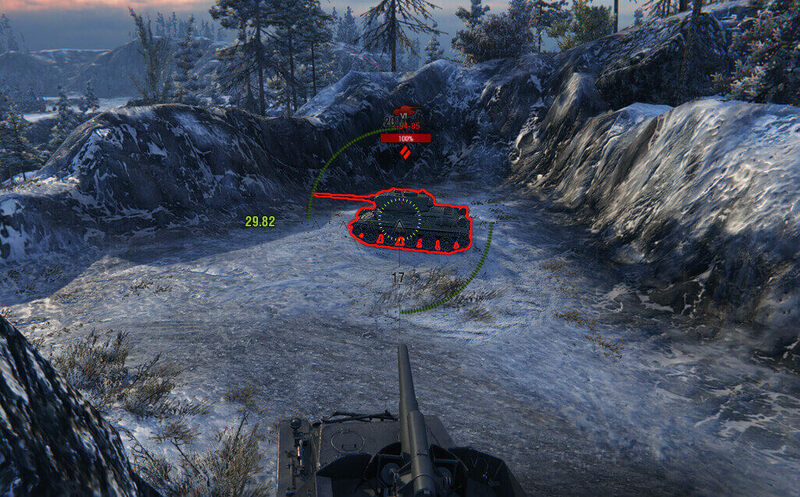 In Arcade mode, your vehicle will automatically traverse after the reticle as you move it. Each accurate shot gets you closer to victory. That's why it is extremely important to master the art of aiming and shooting. The reticle is the central element of the screen. It's essential for firing. For excellent shooting, learn the components of the reticle and how its elements work. Interactive image. Mouse over the points to display detailed information. Distance to the target in meters. Indication of the current state of your gun: loaded and ready to fire, or reloading. This indicator becomes red during reloading. The number of available shells of the selected type. The number of shells left in the magazine. This indicator is displayed only for guns with a magazine loading system. Indication of your vehicle's HP. Shows the vehicle's state, while aiming. Your vehicle gun's reload time with a countdown between shots. The reticle is always displayed in the center of the screen and follows the movement of the camera. The reticle indicates only the direction you are looking, not the direction the gun is pointing. The central point of the Reticle is called the Central Marker. The circle in which your shot will land. 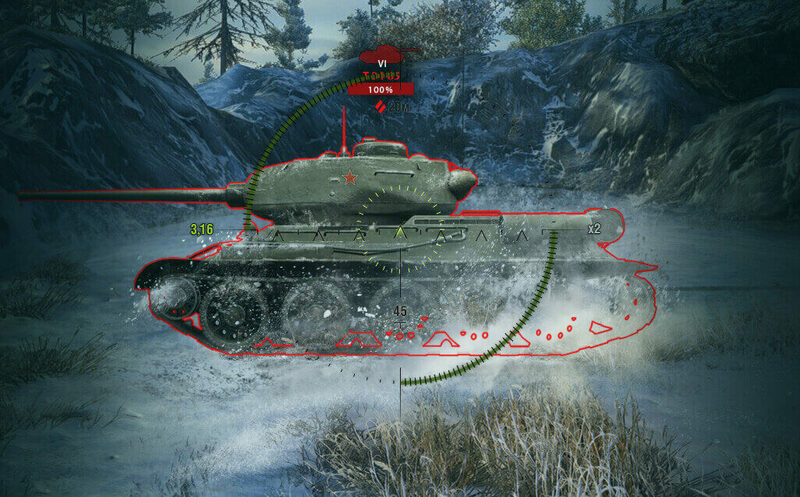 Traversing your turret and hull reduces your firing accuracy, causing this circle to expand. For better accuracy, wait for the aiming circle to shrink. After moving your vehicle or turning turret, come to a stop and wait for the aiming circle to snap onto the target. 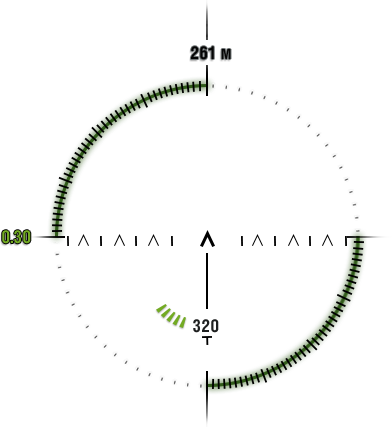 The aiming circle indicates the current gun position and follows the reticle with a delay, since the gun cannot move instantaneously. To fire accurately, wait until the Gun Marker in the center of the Aiming circle aligns with the Reticle's Central Marker. 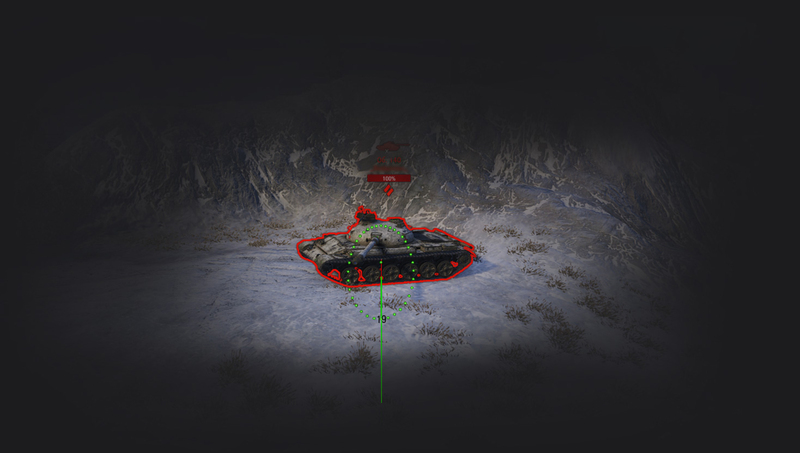 Arcade mode is the default aiming mode in World of Tanks. With the camera positioned behind your vehicle, you can observe yourself, other players, and the situation on the battlefield. This mode is best suited for battles at short and medium ranges. Press and hold the right mouse button to take a look around without moving your gun. Sniper mode is available for all types of vehicles except SPGs and lets you play the game from the first-person perspective. It's essential for long-range shooting and taking precise aim at modules. or  Switch to Sniper mode. When playing in Sniper mode, you'll see the Zoom Indicator to the right of the reticle. It tells you how much the image is currently enlarged. The highest zoom level is ×8 by default. You can increase zoom level up to ×25 in the game settings. Avoid using Sniper mode all the time: it's great while focusing on a single target; however, it impairs your ability to maintain overall battle awareness. Artillery mode is available to SPGs only, and allows you to see the map from above and make long-range shots. or  Switch to Artillery mode. grey — the target is out of range. There is also an alternative version of Artillery mode called — Trajectory View. It's in some way similar to Sniper mode and can help you more clearly estimate the trajectory of your shell for better accuracy. By default, your enemies are marked red in the game, while your allies are marked green. 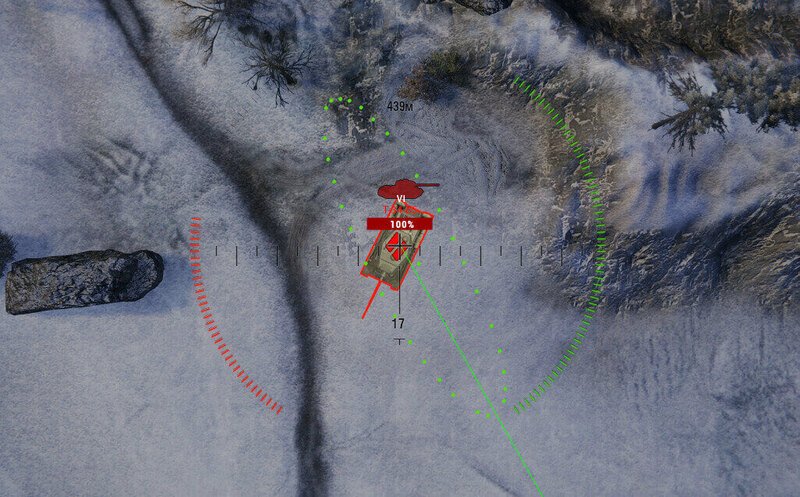 When you aim at another vehicle, it's highlighted with the corresponding color. During a battle you may see enemies and allies battling at close range, even ramming, so aim carefully. Damaging your allies, even accidentally, is a violation of the Game Rules, and you can be fined or even banned from the game for damaging or destroying your allies (see Team Kill). Now that you know how to move the gun and how the reticle works, you can go into battle! Take aim at the enemy vehicle. Wait until the Aiming circle fully aligns with the Reticle. The Gun Marker should match the Central Marker. Wait for the aiming circle to shrink onto the target. Left-click to fire at the target. Wait for the gun to reload and the aiming circle to shrink before firing again.